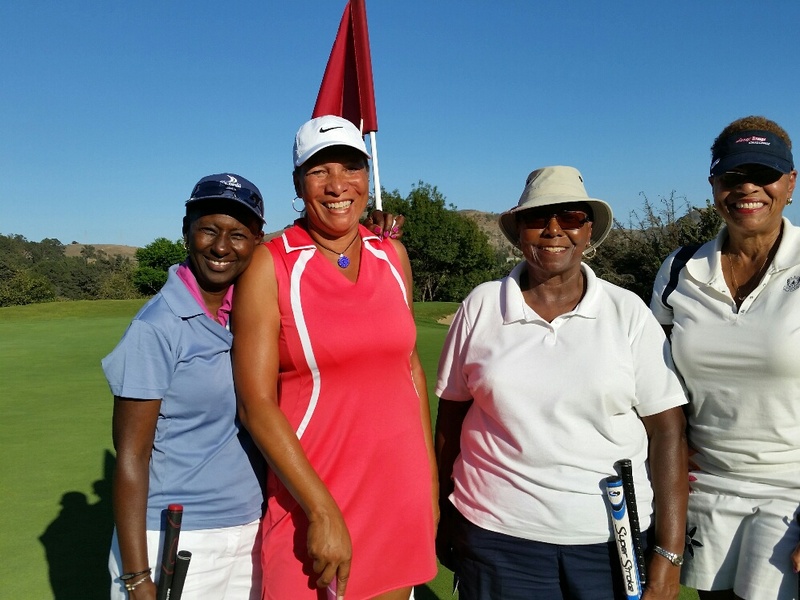 On Sunday, September 20, 2015, the ladies of Sistas on the Links, Spear Golf Club, and Sacramento Area Black Golf Club participated in a Solheim Cup competition. It was contested at Blue Rock Springs in Vallejo. The 6-person teams were pretty evenly match. After braving one of the hottest days of the summer, the matches ended in a TIE! Play consisted of a 2-person best ball on the front nine and singles matches on the back nine. Lynda Donahue, Tournament coordinator and Ora Anderson monitored the event by driving from hole to hole to check on the condition of the players. Carole Vanderberg had to be replaced after 9 holes, due to heat exhaustion. A good time was had by all and everyone involved left with a better understanding of match play. Several of the ladies will be heading to P hoenix to participate in the 25th Annual North/South Shootout on October 2 & 3. The RED Team members were: Lesley Stewart, Aliane Hasan, Debra Batiste, Carole Vanderberg, Janet Johnson, & Evelyn Wesley. 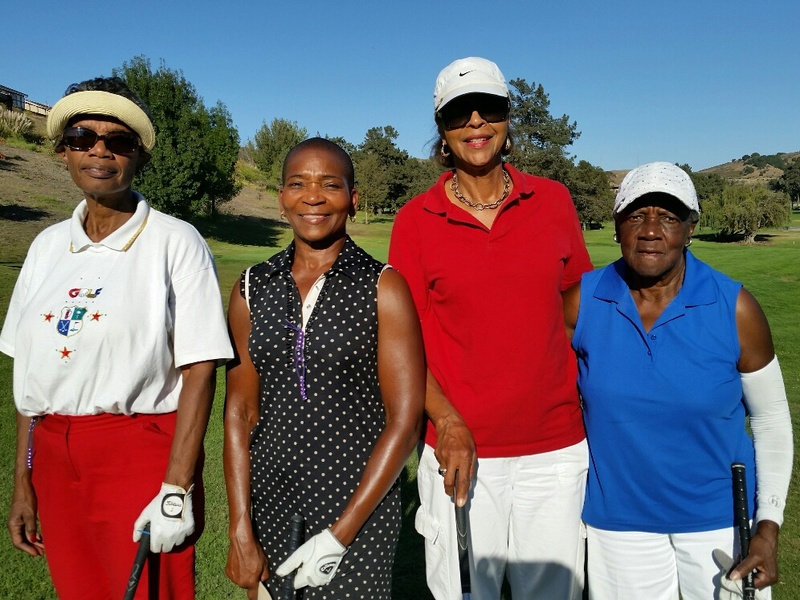 The BLUE Team members were: Debra Hopson, Gwen Brown, Eunice Coffey, Levette Bryant, Lillie Reed, & Oneda Turner. Ora Anderson assisted Lynda Donahue in the organization and took photos.